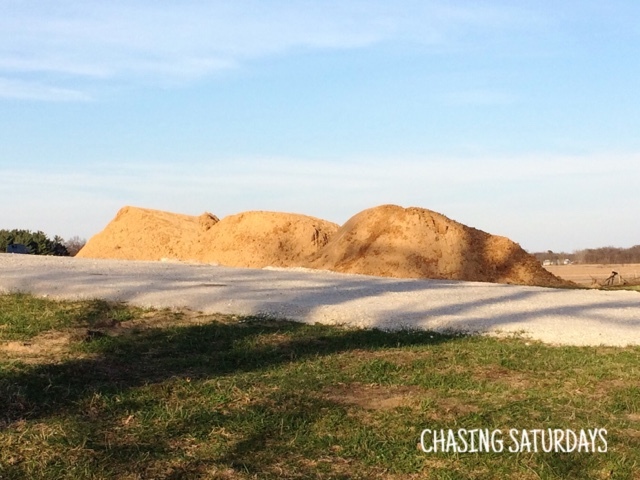 Chasing Saturdays: Leveling out a new yard. How to you prepare? One of our projects this spring is prepping the yard for a complete makeover. 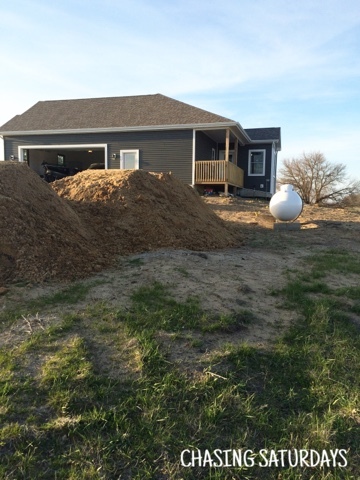 Last fall when the house was completed, we decided to wait until spring to put down top soil and seed the lawn. The past winter did not bring many snows. As a result, the sand was exposed for most of the winter. The sand blew all winter. From this picture taken last summer, you can see there is some major work to do to the yard. 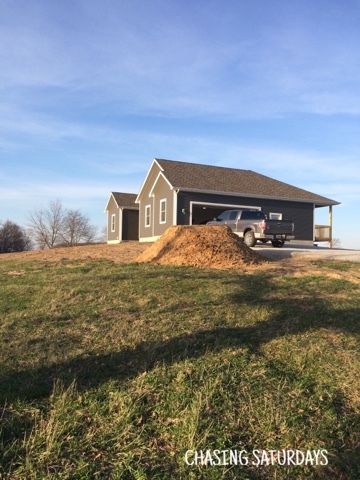 This picture was taken before the windows and siding were installed. You can also see we received too much rain last spring as well! This area was worked a few time by the contractors, using a small bulldozer. 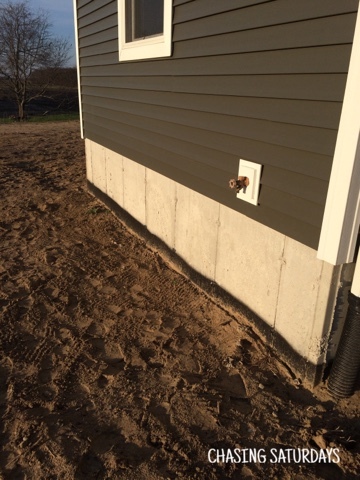 The black line is a sealer on the foundations wall. This needs to be covered up to protect the foundation.. The first thing to do is prepare the area. We have already raked the sand, picked up sticks, stones, rocks, glass from old mason jars that were from the old house, and other remains from the construction. We were welcomed home the other night with loads of sand. Why put more sand on top of sand? 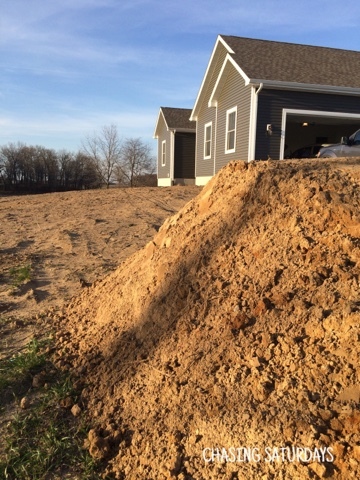 Sand is a cheaper filler than dirt, and we have some areas in the yard that need to be filled in. 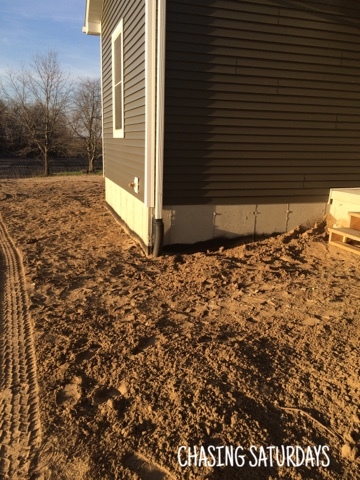 There is a lot of sand that needs to be added to the back of the house. This spring we will concentrate on the front of the house. So, bring on the sand. Pile it up. I see a few loads of dirt in our future! Here is the good infrastructure facilities, nice road design, good room design, so nice at all. 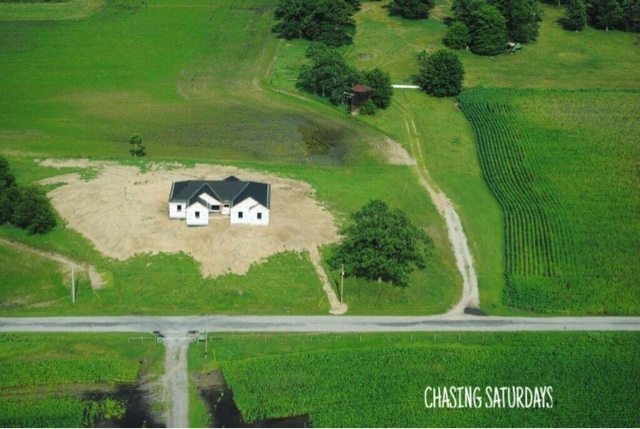 i hope this house is choice any one. But.i don't know about it quality. I found some helpful info from condo assignment Toronto that is really good to me. Thanks for the update.